Please read this page and our Cement Tile Installation Guide before installing the tile. If you cannot download the PDF guide and we can email it to you. I would also recommend reviewing from an installation of our product from an independent installer here. Along with a video guide to help. Repeating myself a few times…. this is not for the installer he is a professional has been on courses. This is just for the customer to gain knowledge. The most common question… do you seal before grouting? The answer is Yes! There are some other key tips as well. Always mix the tiles in the boxes & Soak the Cement Tiles in water for about 20 seconds before apply the thin-set. Cement Tiles are so absorbent that you do not want them to soak up all the liquid in the thin-set rendering it less effective (Basically drying it out before it can stick). As they are so absorbent before sealing you do not want people handling the tiles just after they have eaten a bucket of fried chicken and not washed their hands (that was the only example I could think of at the moment). The grease from their hands will be absorbed into the un-sealed tiles. So clean is the key. Clean until sealed and then read on. Here are some important points. Please read installation guide, but I thought these were important enough to put directly on this post. The information below is more for the consumer to provide some knowledge to ask questions to their installer. Cement tiles are not pre-sealed at the factory. Therefore, sealing with an impregnating or penetrating sealer for natural stone is essential and you cannot install without using it. Sealer should be applied to clean tiles prior to grouting. Only use a PH neutral cleaner, do not use any acids or alkalines to clean tiles. Look for cleaning products suitable for use on natural stone. Be sure tiles and setting material are thoroughly dry prior to sealing. Apply sealer in thin layers, until the tiles will not soak up any more. Wipe off any excess sealer before it dries, and allow the sealer to cure according to the manufacturer’s instructions. When properly sealed, water should bead on the surface of the tile. We suggest a penetrating sealer, like Miracle 511 Porous Plus or one of the products from DuPont’s StoneTech Series. It is the end result you are looking for, water to bead on the surface. Water should not absorb into the tile. Once sealer has cured (note ‘Cured‘ if your installer does not take a break between sealing then it is not being allowed to set into the tile. This is a major red flag). Use Laticrete, Mapei or an equivalent un-sanded grout, using manufacturer’s instructions. Joints should be full and free of all voids and pits. Grout should be applied in small areas and immediately cleaned. Do not spread the entire floor with grout like a porcelain or ceramic tile. (If you have hired a Ceramic Tile installer then this is an area where they can potentially get wrong). Once grout has been applied and starts to dry, remove excess grout immediately. Grout that sits too long can be difficult to remove from the tile. Do not affix duct tape, gaffer tape or acid tape directly onto cement tiles surface. Tape can discolor or stain your cement tiles. Typically cement tile is grouted with white or light colored grout. If you decide to use colored grout we recommend that it be a color that is the same, or lighter than, the lightest color used in the pattern. Note: Dark colored grout is not recommended. Dark grout can cause stains on the tile that can be difficult to remove. Consider the color of the tile you are using. After installation, wash floor with a neutral detergent. Any extra residue or mortar should be removed immediately. Do not allow water or other liquids to spot, pond or ring on the surface (ie: Do not leave spillages, drips or wet buckets, cups, footmarks, etc. on the surface at any time). For hard to remove residue, a single disc floor machine with a white pad may be used. Be sure to wet the surface first when using a floor machine or other polisher, and clean any residue immediately. Seal the clean floor, including grout, a second time with the penetrating sealer. Again, tiles and grout must be thoroughly dry prior to sealing. Cover the tile immediately after completion with a protective covering to prevent staining and damage during the remainder of construction. Finally. Can it be used outside? The outside of your home is a space where you can make it whatever you want—whether that be a Zen retreat, a fun party space for entertaining, a kid-friendly playground, or a lush garden filled with color and plant life. Whatever you envision your outdoor space to be, it all starts with the right foundation. As a practical-minded yet fun-loving homeowner, you want something that will stand up to the elements and still look beautiful. 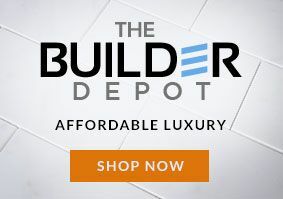 Cement outdoor tiles are one of the most versatile products on the market that can help you set the tone for your blank canvas of your back yard or garden, or enhance the outdoor space you already love. (Note: They are not recommended for areas that freeze in wintertime. Repeated freezing and thawing could cause cracking. If they do crack this is where over ordering works well as they can be replaced). During any installation process of Cement Tiles, Cement floor tiles must be sealed properly to ensure they can resist stains and fading. A sealant will help prevent dust, dirt, grime, and moisture from permeating the tile and staining the design. You may also want to have your tiles re-sealed once the installation, cleaning and drying processes have taken place. Ask your installer about using a penetrating sealer with UV protection to keep direct sunlight from fading your tiles so they can keep the as new look you enjoyed when you first saw them. Previous Previous post: Color of the Year for 2016…… White. Simply White.